The 10 oz. 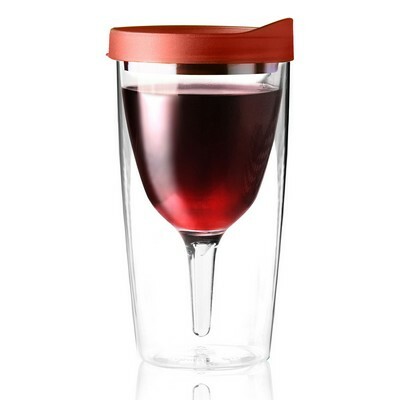 Vino 2 Go Wine Tumbler is an attractive promotional product that provides a cost effective way to get your brand noticed by the masses. 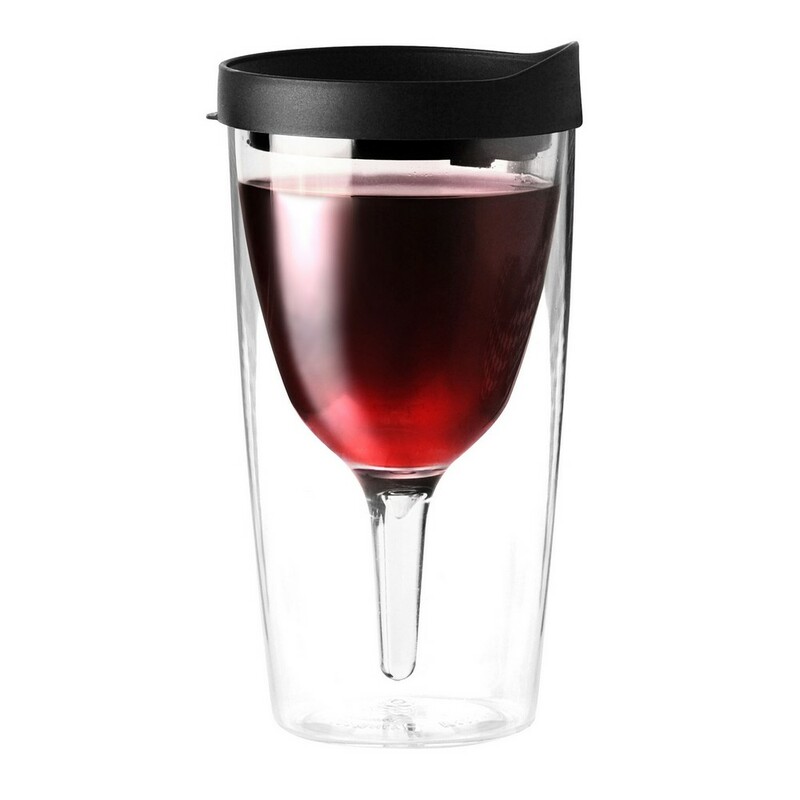 This double wall insulated wine tumbler helps maintain the standard temperature of the drinks, keeping them cool for a long time. 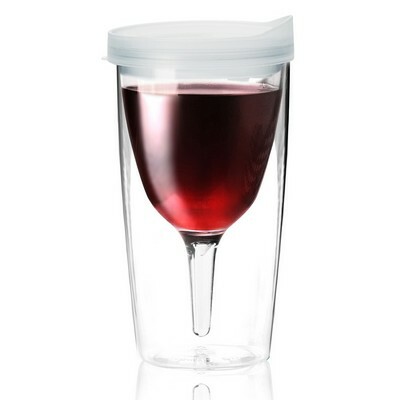 The lid prevents spills and keeps the bugs from getting into your drink. It is ideal for poolside, camping and golf, outdoor events, corporate advertising, corporate dinner, theme parties, and much more. 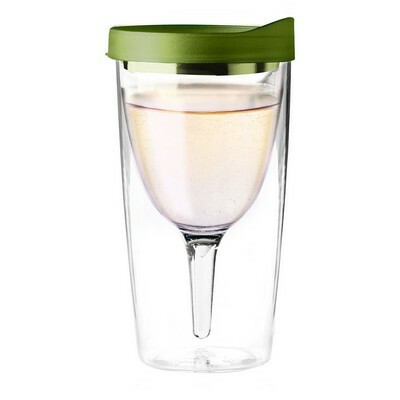 It is impact resistant, BPA free, and easy to carry. 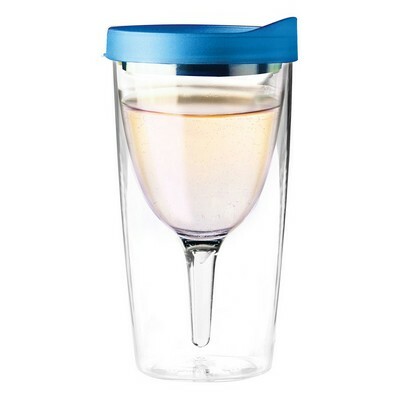 The tumbler comes with different colored lids and promotes your business in every step of the way.